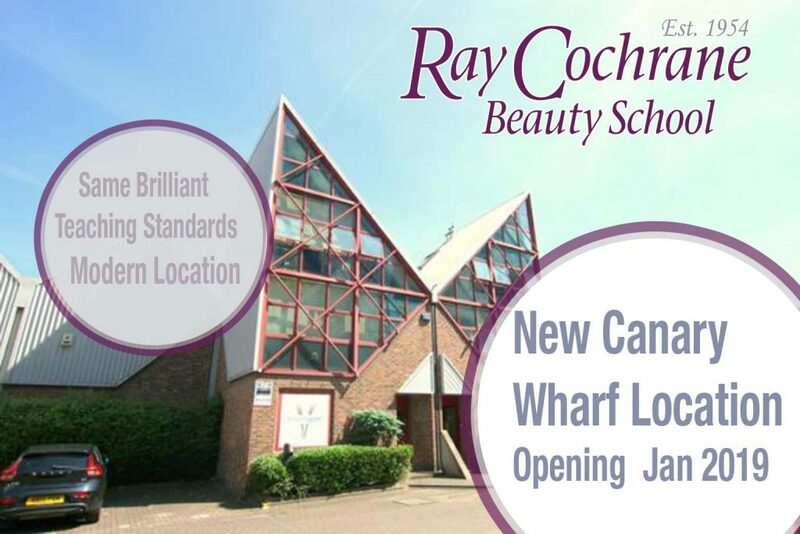 We are proud to announce our new location out in East London at 1st floor, Unit 47 Skyline Business Village, Canary Wharf, E14 9TS , starting from January 2019 (new year, new us you could say), some of our courses such as the Level 2 & 3 Nails Technician, Level 2 beauty therapy courses will have be running out there. Although prime located within Baker street we offer the chance to come study at London’s most established premier beauty school but closer! 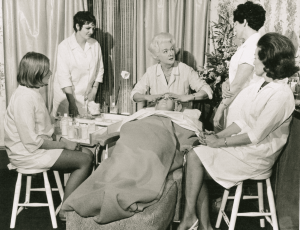 For those of you who don’t know what Ray Cochrane beauty school has to offer how about a brief overview of the last 65 years of our existence in beauty. And by extension what will be at our Canary Wharf location. Yes I know, 60 years is a long time for any school to be open for let alone a beauty school. 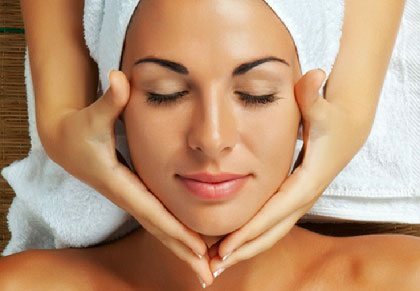 However our standards and quality have kept people coming through our doors and leaving our doors professional beauty therapists ever since. Ray Cochrane was opened by Mrs. Ray Cochrane (pictured left teaching way back!). With a view of bringing exceptional beauty therapy standards to UK shores. The first course to be on offer was the CIDESCO course which is the highest in beauty standards world-wide. Running here since 1954 till today the course was the cornerstone for many years of our beauty school. With changing demands for qualifications however the need for CIDESCO was not applicable to those who wished to specialise within an area of beauty. But we were met with a dilemma. Would the course qualification we were to introduce really be up to a standard that we at Ray Cochrane wanted to take? The answer is in our VTCT courses. Which what you, the reader, could be studying in the future in our new East London Location in Canary Wharf. The VTCT qualification has many courses that you can decide to take. Giving you the VTCT qualification that falls under the NVQ framework. This means that the qualifications that you get under this framework make you a recognised beauty industry worker all around the UK and then stretching further out off UK shores the VTCT qualification is recognised in mainland Europe. Continuing to stretch further and further with the recognition of this rigorous and quality standard qualification. Some of the courses we run here under the VTCT qualification are the Level 2 Facial & Skincare, Level 2 Beauty Therapy, Level 3 Beauty, Level 2 & 3 Nails Technician & finally the Level 4 Laser & IPL course. The courses are of a reasonable length with some courses running from 6 weeks and the longest course being a total of 6 months. The courses are set up for attendance once a week giving you plenty of time to work your life around it and choose a date which is suitable for you to attend. Yeah sure there are other places out there that offer a shorter time to complete a course but what are you getting? Are you getting the best teaching? Are you getting the feedback you need to become better? Are you getting plenty of experience in learning treatments? These are all questions to be asked. So all of this sounds all nice and good? And that’s because it is. The popularity of our courses has exceeded what we can hold here in our Baker Street premise. So with that we have brought in a new location into the Ray Cochrane fold. Our original premise at Baker Street is still Ray Cochrane HQ but being here over 60 years, we thought it might just be time to grow a bit. So with that (and with a lot of property viewing!) we finally have a building and location to fit and continue our high standards of beauty teaching. We will be updating our website accordingly to reflect these changes too. There will be no back and forth for locations for your course! This is, that you will not be studying one week at Baker Street and then one week at Canary Wharf. The location is only an 8-minute walk from Canary Wharf train station making it very accessible. Currently, we are in the process of moving in and updating it to beauty school standards, so no peeking yet, unfortunately. But soon we’ll be posting some updates on our Facebook and on here so you can get a look at what’s to come. We are running our VTCT courses out there and are welcoming of anybody who is UK based and thinks that the new location is a better fit for you or simply would like to study with London’s most established beauty school. The location will be replete with new modern equipment. Furnished with beds for practice, our partnered established brand Dermalogica products for practice as well as a provision of materials you will need for your course. Basically, we have made it as easy and accessible to study beauty as possible. If you have anything you would like to ask about the premise in regards to attending a course at these premises, please get in contact with us! We are sure you will like what you have to hear/read. In the meantime check out some of our courses and maybe even some of our reviews to help give you a bit of information on our upcoming courses. But don’t just take it from us. Look us up on google and see some of the things that our happy past pupils have to say.